As featured in the Asheville Wedding Guide, our beautiful grounds, elegant facilities, and staff with extensive expertise makes us the best Waynesville, NC wedding venue. 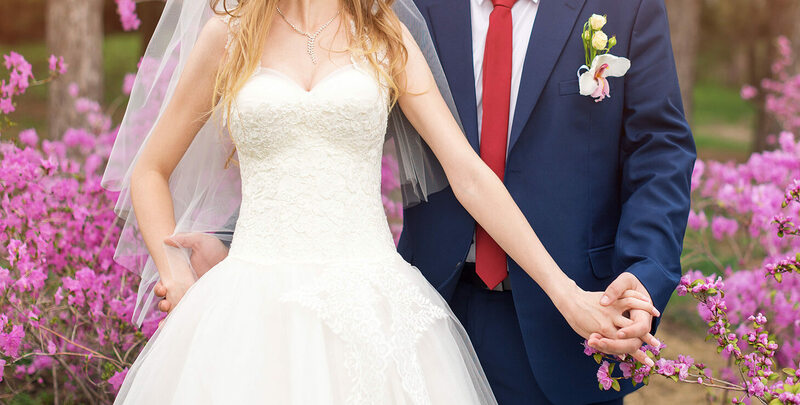 We know that your wedding day is one of the most important days of your life, so share your dream of that perfect day, and we’ll help you make it happen. Whether it’s a traditional wedding, a commitment ceremony, secret elopement, or renewal of vows; we’ll make your fondest wishes come true. Our facilities provide the perfect sites for ceremonies, receptions, rehearsal dinners, and luncheons. The Yellow House B&B is a special place. 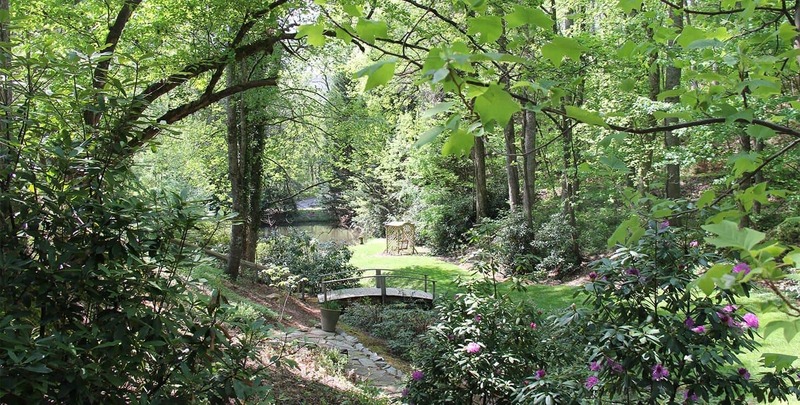 Our five landscaped acres, two ponds, and a waterfall surrounded by the scenic, picturesque Smoky Mountains make this the perfect outdoor destination for your special day. You decide where to say “I do”… maybe you’ll choose the stone terrace at the bottom of the waterfall. Perhaps you’d prefer to descend our long stone steps to say your vows on our lush, expansive lawn with colorful gardens and our beautiful house as a backdrop. The decision is yours! If you’re celebrating a Honeymoon or Anniversary, check out our packages for your romantic getaway to North Carolina. The Yellow House can accommodate parties of an intimate few (or just two!) to a hundred or more. 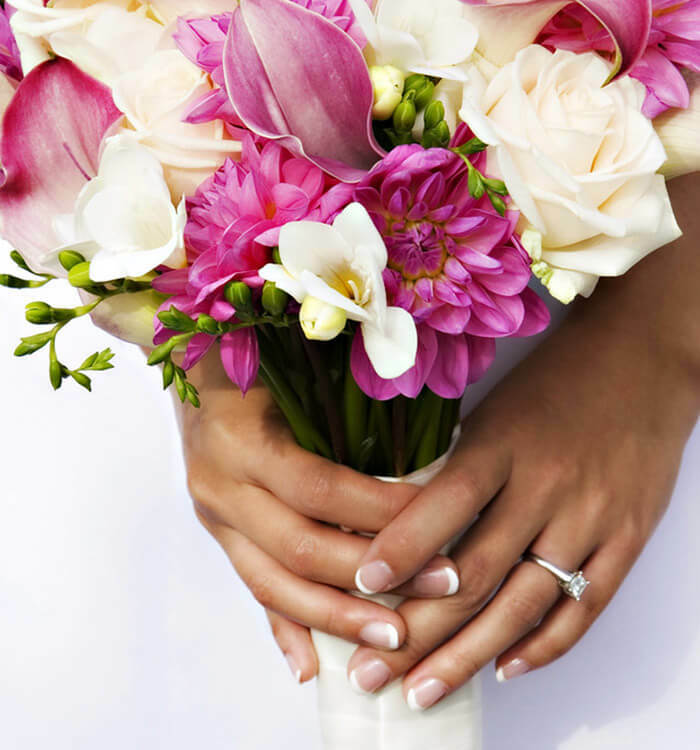 Booking your special day with us is easy – we offer several options depending on the number of guests. 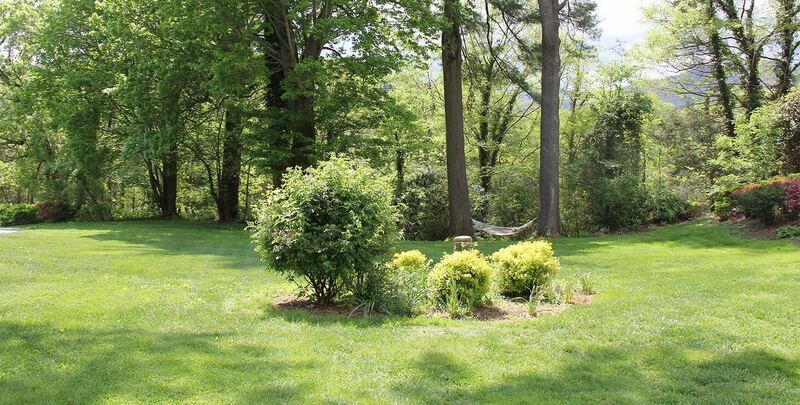 Rent the grounds only for a small occasion or rent the entire inn for a grand ceremony and reception. Our beautiful outdoor setting is available from March to October. For a limited number of guests (maximum 100), we can accommodate an indoor ceremony and reception year round. Our Waynesville, NC bed and breakfast can accommodate 25 overnight guests with breakfast included in the overnight rate. We have extensive experience in hosting weddings. Let us help you plan your perfect day so you can relax and enjoy your once-in-a-lifetime event! We can help arrange caterers, tent rentals, florists, photographers, bakers, and more. Please call (828) 452-0991 or email us for rates, options, and details.